Make sure you have this fly when the trout are on big green buzzers! Fish deep and slow. Remember to slow down, 25 yards in 10 minutes is quite fast enough. Body : Flex floss pulled tight. Head : Green UTC thread. Cheeks : Gold holo tinsel. 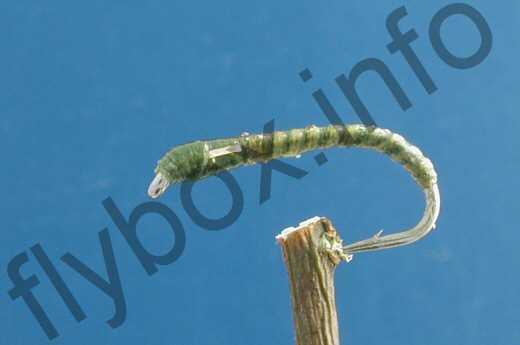 Currently there are no comments about the Green Flex Buzzer fly pattern from other fly fishermen yet.